Nylgut to Steel, a Great Transformation. 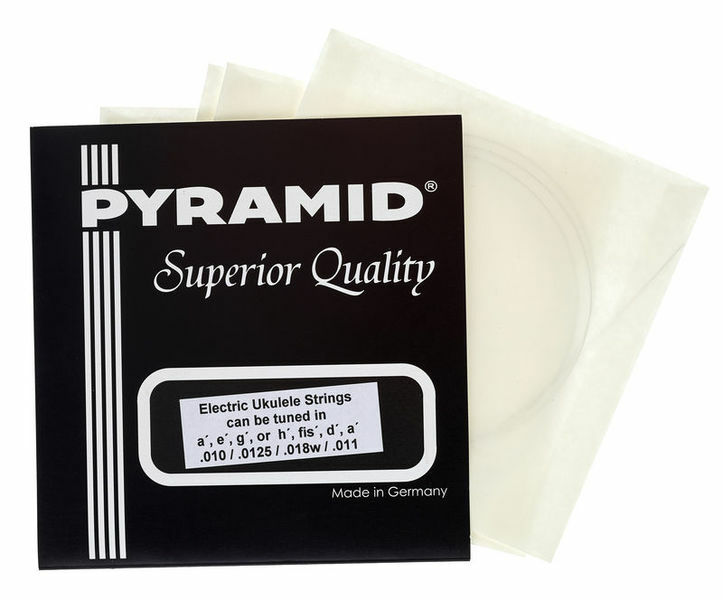 I purchased a set of these: Pyramid E-Ukulele String Set: & think they're Great. Although they are intended for a Soprano sized Ukulele I purchased the, hopping they would fit my Clearwater Solid Body Electric Tenor Ukulele & I'm thrilled with the transformation to its sound. I prefer the larger size of the tenor ukulele & wanted a solid bodied electric uke., but there are very few options available with steel strings. I contacted the manufacturer to see if the bridge & neck were up to fitting steel strings, they said that although they couldn't be certain, but if I put a couple of screws through the bridge it should be O.K. This I did, & then looked at string options, which for a tenor seems to be limited to the Low G tuning & I prefer the standard G C E A. My main concern was whether these soprano strings would be long enough for the longer scale length & they were. I can't but into words just how pleased I am with the transformation to both the range of the sound, & its quality when played through an amp. It plays great & I most definitely recommend these: Pyramid E-Ukulele String Set. "Pleasant Strumming"
ID: 276701 © 1996–2019 Thomann GmbH Thomann loves you, because you rock!